I binge-watched the heck out of Travelers season 2. I am not proud of it. I didn’t exercise, I ate terribly, and I don’t ever remember if I took a shower. I had the week off between Christmas and New Years and wanted to recharge for an exciting and productive 2018. It was a great week and Travelers Season 2 was a memorable part of it. One of the great thing about Netflix is that it posts all the shows at once so that you can binge watch them. I also think it is Netflix’s greatest weakness. When you log into Netflix you see the Travelers thumbnail and are constantly disappointed when you click and see there is still only one season. Then, Season 2 comes out and because you binge-watched Season 1 it has been an entire year or more since you have seen travelers. I thought season 1 was amazing which makes the waiting all the worse. I’m not sure Netflix has cracked the code 100% on how many shows to release at once and their frequency of updating. I do have a suggestion, give us eight 60 minute episodes per calendar quarter. If you have to skip the summer quarter to maintain ratings then at least give a solid three quarters of 8-hour of binging. First things first. The description needed some work. When I read it I said “Meh”. Had I not watched Season 1 and been blown away I may have skipped Season Two. Let me know in the comments what you think about the description. Fair warning for the rest of the review I will assume you have seen Season One. Season Two starts out strong with “Ava Macina”. We start to learn about a new character who could be a traveler or just crazy. It is also an introduces Dr. Perrow played by Amanda Tapping (Woohoo!). Pay attention to this first episode because it sets up the series story arc. Oh, and it has little to do with federal agents tracking four people. The federal agents are a mini story arc supporting the main story arc. One of the things that make Travelers so brilliant is the multiple concurrent story arcs that somehow end up adding to the overall plot. In other TV shows, I call them filler episodes however in travelers most of them are necessary. The only story I thought could have been replaced or done better was Trevor’s story starting in episode 9 “Update”. It was a good story, it just didn’t tie into the main story very well. There was a perfect opportunity to have memory flashbacks or some other queue back to the storyline of the Travelers remembering bits of the host they inhabit. Season One. 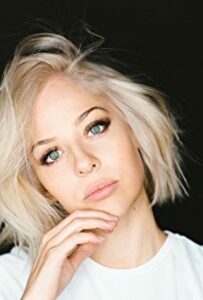 The star of the show is without a doubt, Mackenzie Porter. Where did this actress come from? I looked her up on IMDB and apparently, she has been around for while just nothing I have ever seen. I do plan to rewatch the Supernatural episode she was in now that I know who she is. Eric McCormack (of Will and Grace fame) did an outstanding job as Grant Mclaren, a very close second as my favorite actor in the show. Truthfully it was hard picking out favorites. A number of episodes had me convinced that Reilly Dolman playing Philip Pearson should win awards. I was convinced he was an addict and was fighting and recovering. Simply brilliant acting. Sets were decent. Nothing too crazy. I thought they could have done a better job on the prop of the quantum frame. The hospital sets were great. The outdoor scenes were limited to only necessary parts of the show. In Sci-Fi I am always disappointed when there are too many outdoor scenes. Mclaren makes a comment “why is it always a barn” HA! I feel the same way. Costumes for Travelers are essentially present-day clothing and situational changes such as bullet holes, blood, blood, etc. Nothing really to comment on here other than the fact the Costumes didn’t impede the story. I don’t believe any costume ever stuck out to me. Every episode is brilliantly directed. Executive Producer John G. Lenic assembled a great team and executed perfectly. I would expect nothing less from the producer of Stargate fame. I’ll give you a mulligan on the Real House Wives of Vancouver. If you read my reviews you know I harp on both technology and originality. The technology was interesting in Travelers. Since the show is shot in the present day, the characters only refer to advanced technology. There are a few cool scenes with nanobot used in medical applications and I like the way they send information back to the director. I do think they end of every episode should be uploading the recordings to the server that survives into the future. It would complete loop and answer the question of how everything the Travelers record survives to be viewed by the Director. Another hot topic in my reviews. I always say that in order to get five start in orginality you have to invent something I havent seen before and execute it brilliantly. Check and check, bravo. Now to wrap up this extensive diatribe without sounding too much like a fanboy. 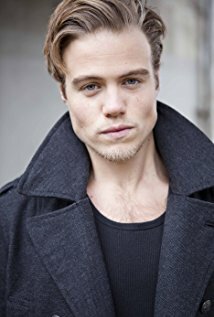 If you haven’t seen any of Travelers you should start watching it right now. In fact, here is a link. P.S. – Don’t forget to like, share, and subscribe to my social media below.